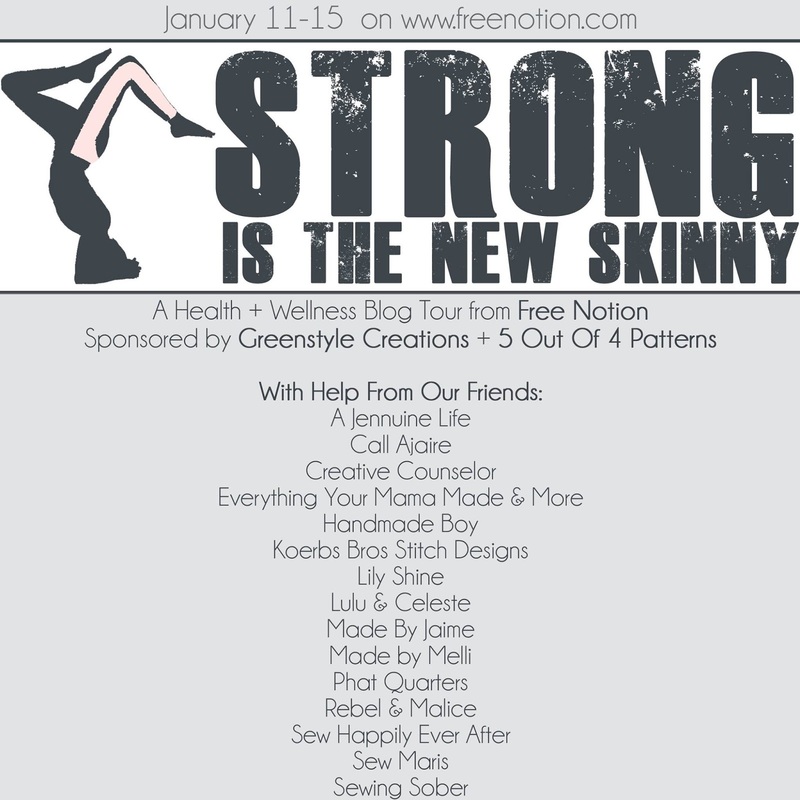 This week Free Notion is hosting a fun series about fitness. It’s something we all need to work into our lives and through the Strong Is The New Skinny tour, you’ll find a few different workout options and get a peek into how some busy ladies fit it into their routine. 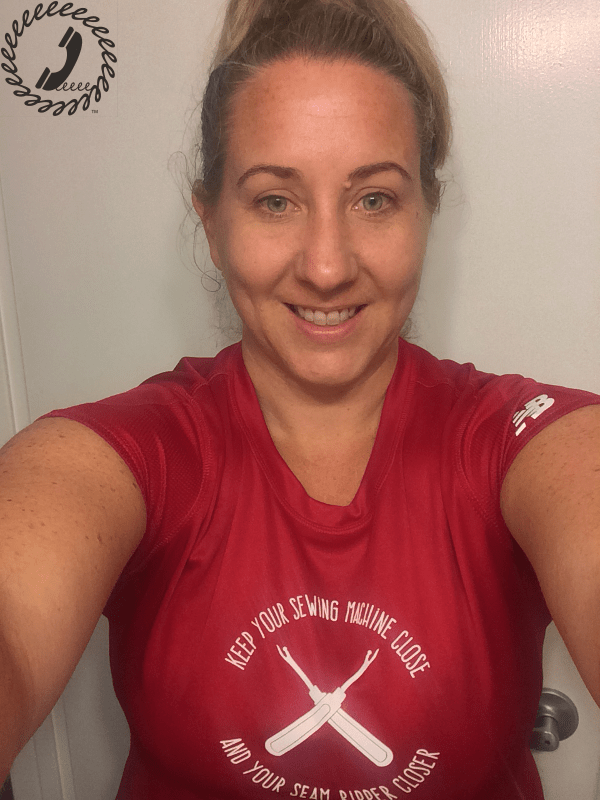 warning: lots of iPhone #sweatandsew pics coming up! Early last year I decided to take up running. That may not sound as crazy to you as it did in my head at the time. You see, I’ve NEVER been a runner. Even when at my best physical condition running has always been hard for me. I could use the elliptical, take classes, bike, and pretty much walk forever, but running….nope. 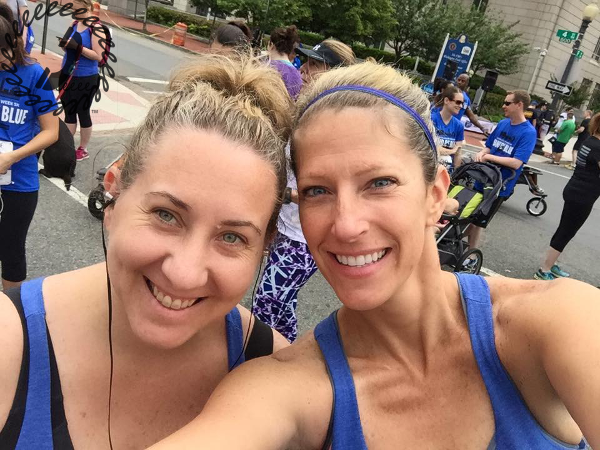 One of my good friends asked me to join a run club with her and I thought she was nuts, but it was another of our friends who manages the club so I agreed. We signed on just to do a 5k, but wow a 5k was more than I could ever imagine running. Well, one run at a time I seemed to manage it. There were times when even just a mile seemed IMPOSSIBLE, but it was helpful to have friends keeping me accountable. I had never needed accountability in workouts before. If there was ever a time in the past where I felt out of shape or just needed to lose weight I would buckle down and do it. Get my workouts in, manage diet, etc. But once I became a mother I found it much harder to fit fitness into my schedule. There ALWAYS seems to be something more important to get done and though I had some periods of fit activity over the past four years, I was shocked to see the difference just having a few friends along for the ride made. It was on my calendar and people were expecting me to show up so I did. 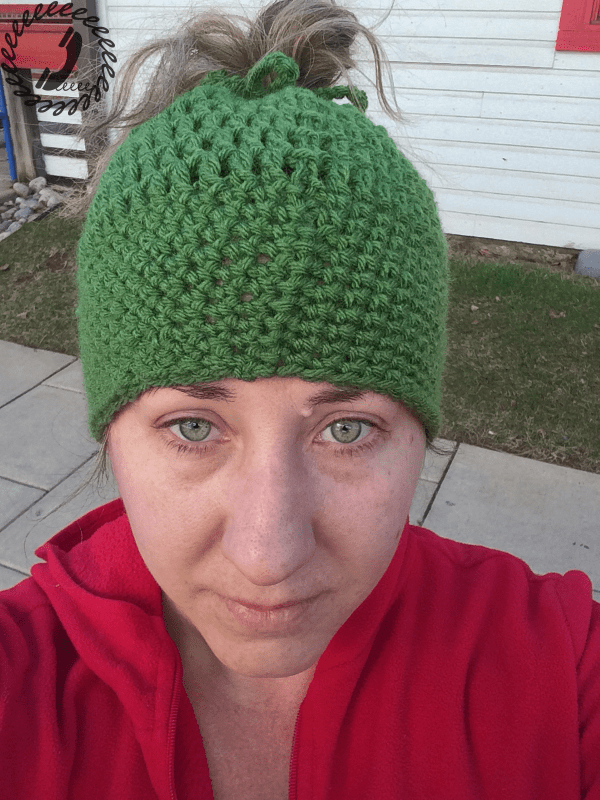 Even if the laundry wasn’t done, even if the dishes needed washing, and (most importantly hehe) even if I had a blog post due or something fun to sew I STILL went for that group run. My goal for the 5k was just to run the entire thing. I was determined not to stop for a rest at all, which just starting out in the running game was tough for me. I ran SUPER slow (like I could walk almost as fast), but by maintaining that speed I could maintain my breathing and get through it. I did end up running the whole race, but just look at my face at the end! It was H.A.R.D. 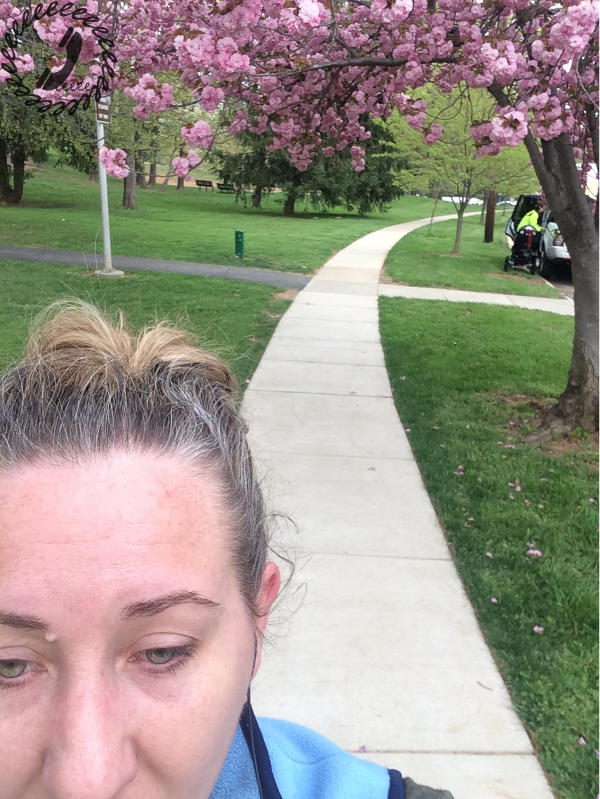 We signed up for another round of run club in the fall and I was challenged to do the “level 2” training and again, thought it was crazy. The runs during the week were longer and I had a personal goal to run faster this race. I had managed to run the whole previous 5k, but now I wanted to see if I could push myself to run it at a faster pace. Again, it was hard, but I found with the accountability of the group I was able to up my speed. 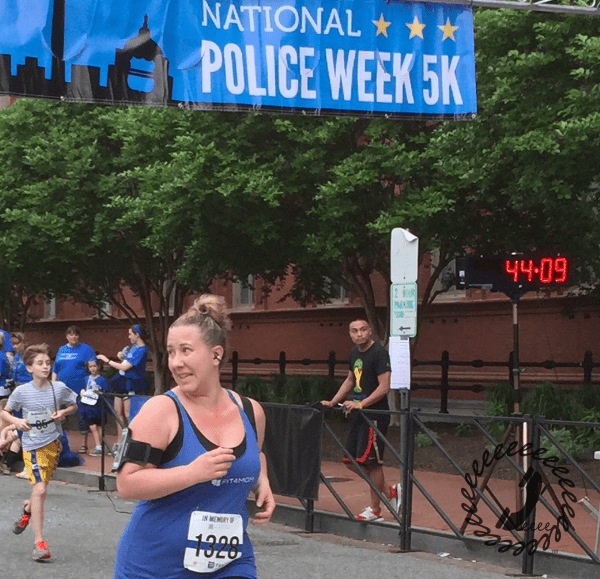 The actual race was cancelled (and then later rescheduled to a weekend I was away) because of a big storm hitting DC that weekend, but in preparation for the race, I actually ran the whole thing at a pace/time I was really happy with. I am still super new to the running thing, but for the first time can actually say I enjoy it. Not the ACTUAL running part, but the before and after feelings about being a runner. It’s something that was out of my reach (in my head) and yet I’ve managed to do it…. with a little help from my friends. Check out the rest of these ladies’ fitness journeys this week. Each of ours may be different, but it seems like there’s inspiration in every story.